Get Islamabad Police Jobs 2017 Application Form Download | www.islamabadpolice.gov.pk from this page. 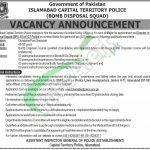 Applications are invited for recruitment against the temporary posts on a contractual basis, initially for the period of two years in “Bomb Disposal Squad” of Islamabad Capital Territory Police, Islamabad. Here is the name of position which is vacant under this advertisement (Director in Bomb Disposal Squad (BPS-18) of ICT Police). Candidates wanted to apply are suggested to read the criteria carefully in which you’ll have complete information about required qualification & experience and generally retired Army Officers in the rank of Major, possessing qualification Graduation/Post Graduation and maximum experience in relevant field is required to apply. Retirement period of the candidates from Pak Army should not be more than 03 years before the closing date. Age of candidate should be between 45 to 55 years. So, now we’ll discuss the how to apply the procedure for the vacant positions. 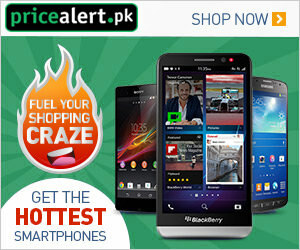 Application forms can be downloaded from www.islamabadpolice.gov.pk or from www.jobsalert.pk. Duly filled application forms without any documents must reach SSP/Logistics (Police Lines Headquarters, Sector H-11, Islamabad. The last date for submission of application is November 06, 2017. Incomplete application forms and received after due date will not be entertained. Government servants should apply through proper channel. Shortlisted candidates will be called for test/interview. No TA/DA is admissible for test/interview. Address: SSP/Logistics (Police Lines Headquarters, Sector H-11, Islamabad.